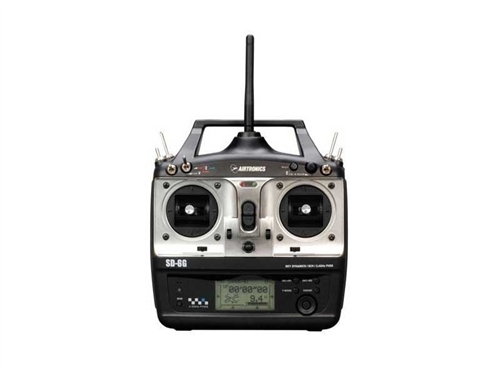 This is an Airtronics SD-6G Crawler 6-Channel 2.4GHz FHSS-1 Surface Radio. The SD-6G Crawler system is electronically the same as the SD-6G aircraft system, however, this version has been modified to allow maximum flexibility for four wheel steering, as well as dig/independent motor control for crawlers with individual front and rear motors. The transmitter comes setup in Mode 1 and both control sticks are spring-loaded and includes control stick guides required for use with Tamiya trucks. *Only required if not using ESC with BEC to power the receiver and servos.